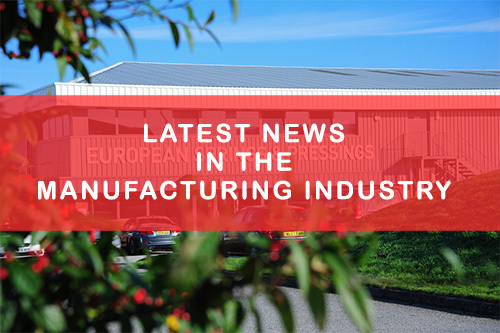 Manufacturing is one of the most important sectors of the UK economy; we know this, as European Springs have been manufacturing high-quality springs and pressings for nearly 70 years. Because of this, it’s important to understand the trends that are occurring within the industry. January saw a disappointing result in the manufacturing industry; the Office of National Statistics, or the ONS, reported that manufacturing output fell by just under one percent in January. In fact, the exact decrease was 0.9%, however, experts suggest that the reason for this downfall is because of the massive decrease in pharmaceuticals. The pharmaceutical industry experienced a production decrease of 13.5% but the industry can be highly erratic. The good news is that, compared to January 2016, the total production output increased by 3.2%, with manufacturing as an entire sector having a production output increase of 2.7%. From the same report, it was found that, when comparing the last quarter to the previous quarter, as of January 2017, the manufacturing sector’s total production also increased by 2.1%, which was found to be one of the biggest quarterly increases in under seven years. With all these increases and decreases in production within the manufacturing sector, experts in the industry aren’t too concerned. Even though the pound is currently weaker than it was previously, this has provided an increase in exports; exports increased by 6.3% and imports also increased by 2.7%. However, this doesn’t give us a clear indication of what the future of this industry will be like in the years to come. Currently, despite the decrease in manufacturing output, it is much better than previous months and the past year, and the reason for the decrease has been associated with the erratic nature of the pharmaceutical industry. But we don’t know what the next set of results will provide for us. The next set of statistics that will be released by the ONS will focus on the index of production in February 2017, which will give us a better indication of how the sector is managing in our constantly changing economy.